I’m currently posting from southern California, where I landed yesterday to surprise my mum! It’s her birthday next weekend, so my dad arranged a secret visit from me for her present. After nearly 25 hours of traveling, I showed up on my doorstep and rang the doorbell. Needless to say, my mum was completely, totally shocked. Shrieks and tears (good ones!) ensued, and when she finally got over her shock, we had lots of tea and delicious food. Today’s been a quiet, rainy day finished off with the best roast chicken dinner ever. It’s a long way away, but thanks to Spain’s Semana Santa and a super flexible job, I get to stay for 10 days. It’s definitely nice to be able to come home, and the surprise made it even more fun. 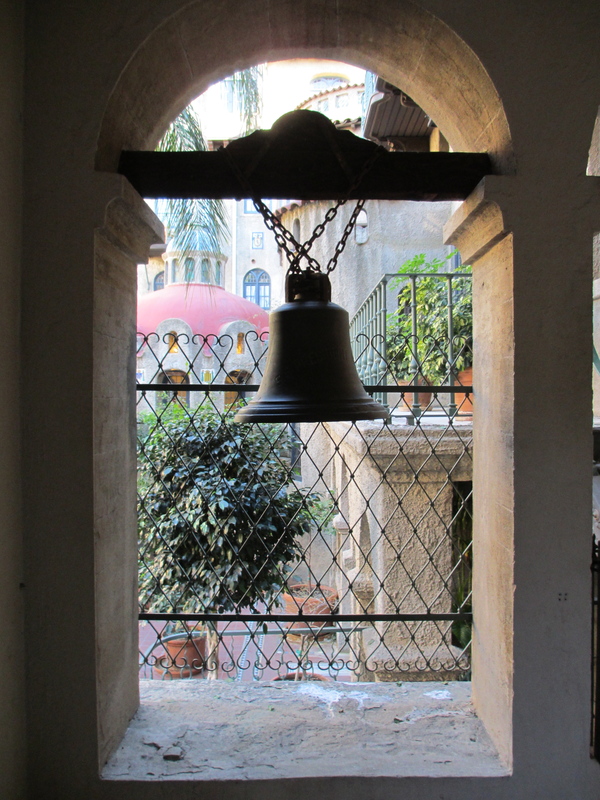 My city’s symbol – the Mission Inn bell. 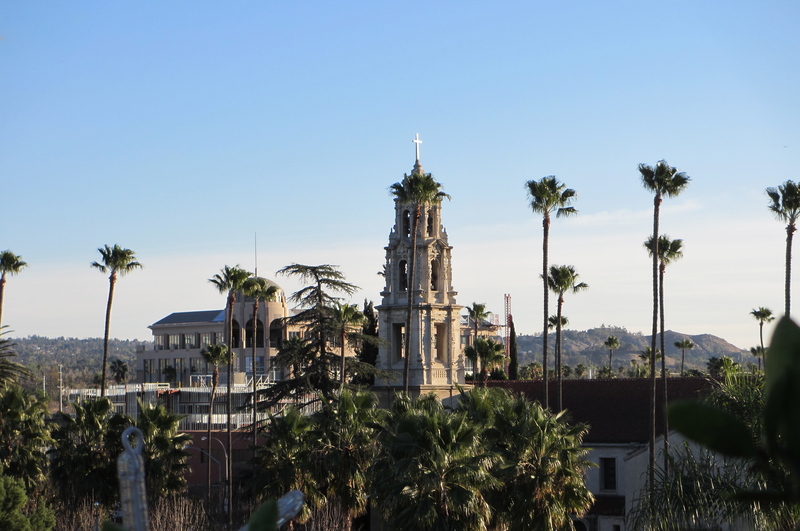 Yep, I grew up in Riverside – we’re neighbors! Thanks for reading my blog, I’m so glad you’re enjoying it.